Each porch screening type has its own color scheme. 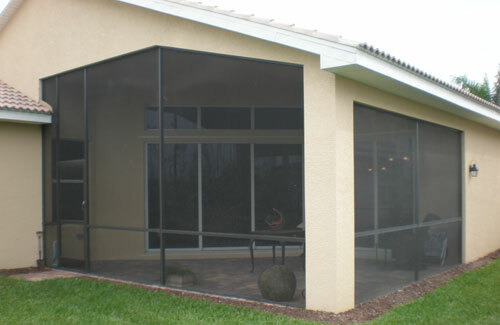 Aluminum porch screen is lightweight and strong. It is resistant to corrosion. Highly popular for screened porches, it is of course silver in color. Silver tends to show glare in the bright sun, so charcoal and black have gained popularity. We offer an array of colors as well as your choice of textures that will make it easy to design a Screen Enclosure that perfectly compliments your home.